Marconi Union are one of the UK’s foremost electronic bands. Fitting somewhere between acts such as Kraftwerk, Biosphere and Boards of Canada – whilst sounding nothing like any of these – Marconi Union have, over their 15 year career, released nine critically acclaimed albums and worked with people from Marina Ambramovich Institute to Jah Wobble. As writers of “the most relaxing track in the world”, Marconi Union “are one of the most popular ambient groups to emerge during the early 21st century” having amassed hundreds of millions of downloads and streams, regularly topping the US Billboard New Age chart and frequently appearing in the US Billboard Electronic chart. The trio’s live performances blend elements of electronica, dub and ambience, resulting in an emotional and sometimes dreamlike experience. 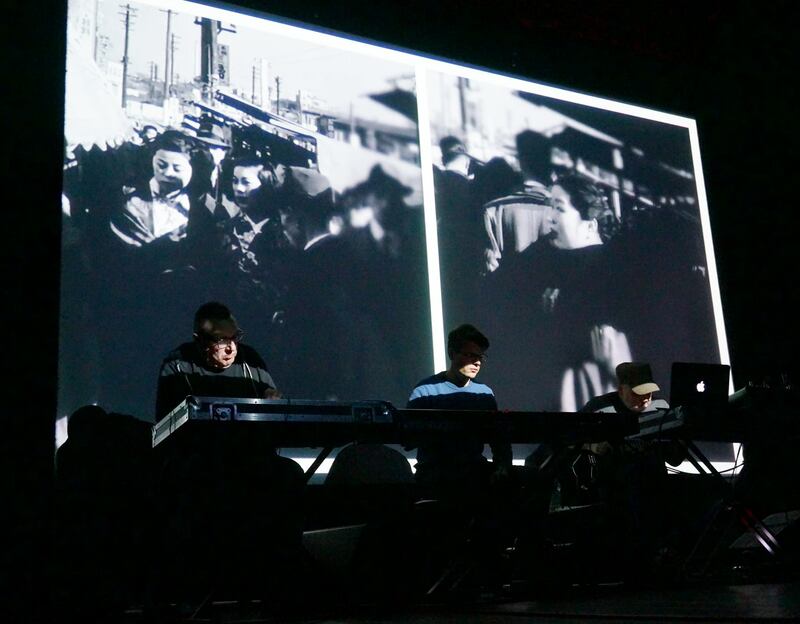 The band perform to a backdrop of subtley emotive films, in the form of split-screen projections created by emerging Manchester arts collective, DOTCA.